Sure, it's just a roll of duct tape. But even so, a trusted brand with guaranteed reliable performance offers peace of mind that can't be beat, especially in high-stakes situations. 5ive Star Gear offers a 60-yard roll that matches military-grade standards. 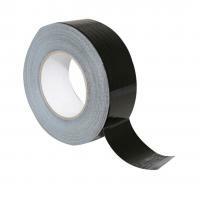 The tape features a coated back for simpler unwinding without the hassle. 5ive Star Gear's Duct Tape adheres to various surface textures and materials, making it an essential item for any bug-out bag, camping kit or at-home toolkit. Always be prepared, always have 5ive Star Gear's products at the ready!